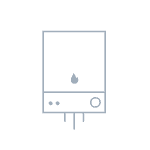 Combination boilers heat water directly from the mains when you turn on a tap. This delivers hot water instantly – with no cylinder or tank in the loft. All prices subject to survey. Please contact us for more details. If you have a hot water storage cylinder as well as a cold-water tank in the loft, your boiler is likely to be Standard. 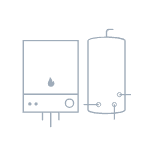 These are often also called Regular, Traditional or Conventional boilers. 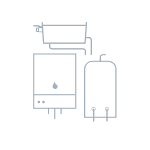 If you have a hot water storage cylinder but no cold-water tank in the loft, you’re likely to have a System boiler. The boiler will usually have a pressure gauge on the front of it. 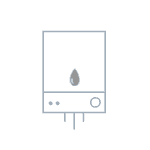 An oil-fired boiler heats water, which then provides warmth for your home through radiators and hot water, instead of using gas.